SIA ( Snowsports Industries America ) 는 Snow Sports 용품을 취급하는 가장 큰 전시 행사 이다. 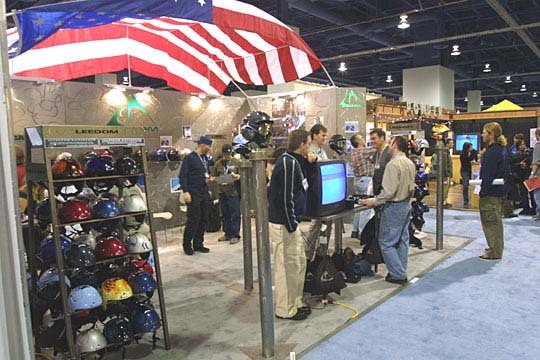 THE BUYERS ARE HERE: Exhibit at the SIA SnowSports Show and you can expect to see over 5,000 national and international buyers representing over 2,100 shops. The domestic buyers represent over 85% of the nation’s winter sports product buying power. The SIA SnowSports Show is supported by all the major rep associations ? EWSRA, MWSRA, MRA, NEWSR, SWRA, and WWSRA ? and three buying groups ? SSL, SMC, and Sports, Inc.
부스( Booth ) 비용 Your exhibit fee includes a value-added booth setup of carpeting, side and back wall draping, and a company sign ? over a $650 value.